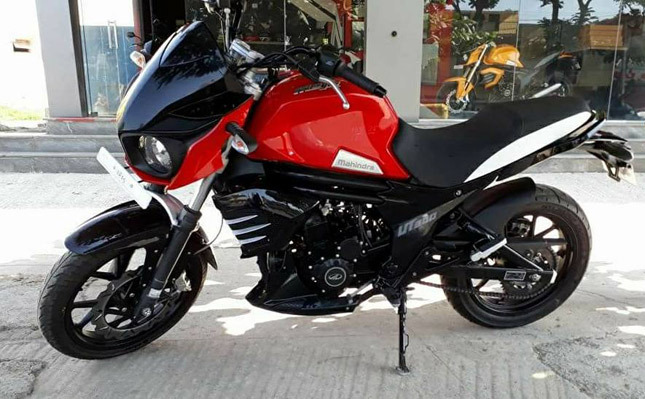 Mahindra 2 Wheelers finally brought a stripped down version of their flagship motorcycle Mojo- the Mojo UT300. 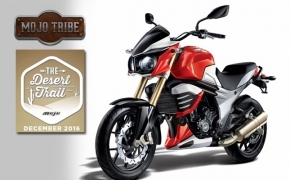 The low cost variant of the Mojo has not only lost lots of existing parts but also kilos of kerb weight. The cost cutting from the shredded parts are eventually going to be passed on to the customers. 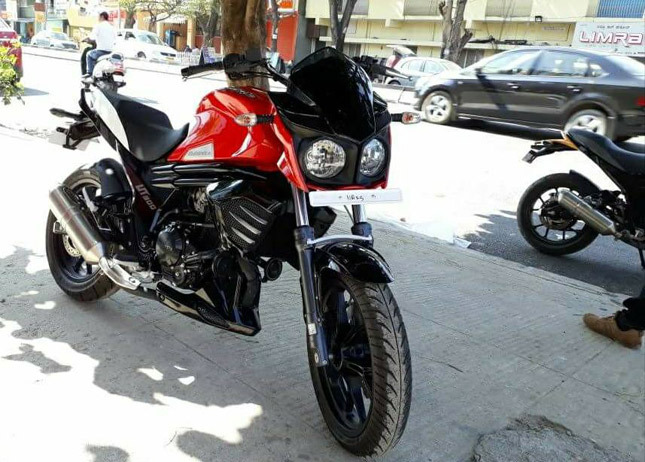 The dropped weight of the bike will also give positive impact on the performance of the motorcycle and also fuel efficiency of it. 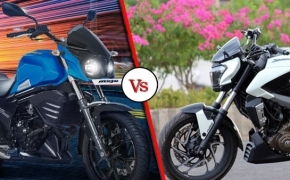 It will also bring back the Mojo into the cut throat competition going on in the quarter liter motorcycle segment in India. 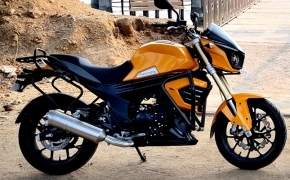 Looks and Design: As far as looks of the bike is concerned it looks exactly same as the premium model of Mojo except few changes that keeps the Mojo UT300 apart from its older sibling. The front twin headlamp assembly now comes devoid of LED lights. 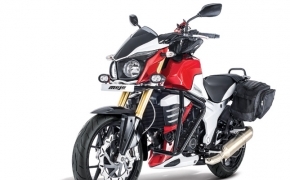 The premium USD front forks have been replaced by regular telescopic shock absorbers. 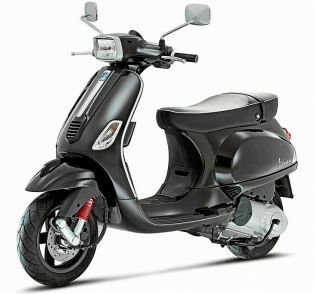 The signature golden ribs and swingarm are now in black color in the UT300. Major aesthetics and functional change comes as omission of additional exhaust canister. 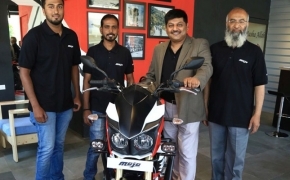 This step from the company will bring major drop in the overall weight of the bike leading better fuel efficiency and better handling of the bike. 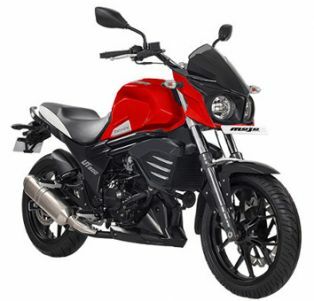 Engine and Performance: The engine at the Mojo UT 300 is the same 294.72cc single cylinder liquid cooled mill. The motor is capable of producing 27.2 Ps of power at 8000 Rpm and 30 Nm of torque at 6000 Rpm. 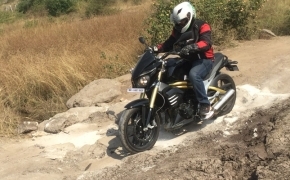 The power unit is mated to a 6-speed gear transmission and is been now fueled by a ‘Carburetor’ instead of Electronic Fuel Injection System (EFI) which is available in the premium variant of Mojo. Brakes and Suspension: The Mahindra Mojo UT300 comes equipped with front 320mm disc brake and a 240mm disc brake at rear, the bike comes devoid of ABS which is optional at the premium variant of Mojo. 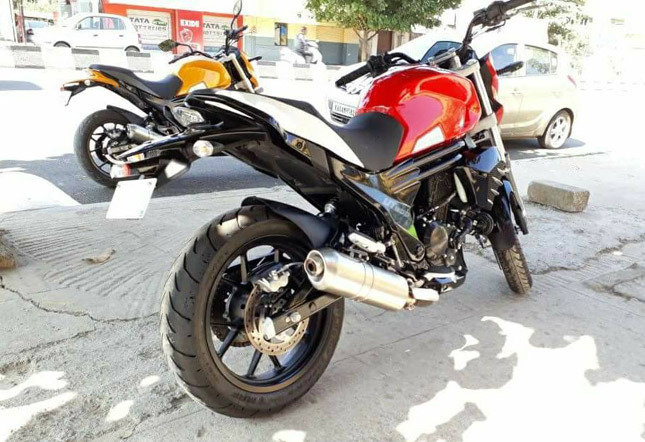 Pirelli tyres have also been replaced by MRF Zapper tyres and the bike comes shod with front 110/70-R17 54W (Tubeless) and rear 150/60-R17 66W (Tubeless) tyres. The front Upside Suspension (USD) has now been replaced by regular telescopic suspension painted in black color instead of golden. 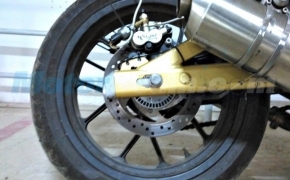 However, the rear of the bike is been suspended with similar kind of gas charged Mono shock absorber. 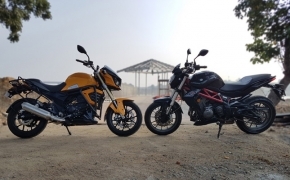 The sole reason behind the development of the Mojo UT300 is to bring out a low cost budget variant of the Mojo, hence the cost cutting in the form of cheaper technology like carburetor and telescopic shockups at the front. 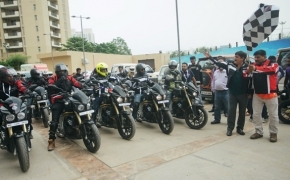 The expected price of the bike is priced at Rs 1.49 lakh (EX-Showroom, Delhi). 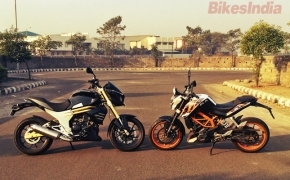 The motorbike is going to lock its horns with the likes of Bajaj Dominar 400 and Royal Enfield Classic 350.